Using marketing tools judiciously determines the success of your marketing campaigns to a great extent. Although, there are different types of marketing tools, a marketing dashboard is one such reporting tool that has helped many business entities to plan out their marketing and promotional strategies and rethink their modus operandi. Here, the usefulness of a marketing dashboard has been discussed, the different examples, few essential aspects, and finer aspects. 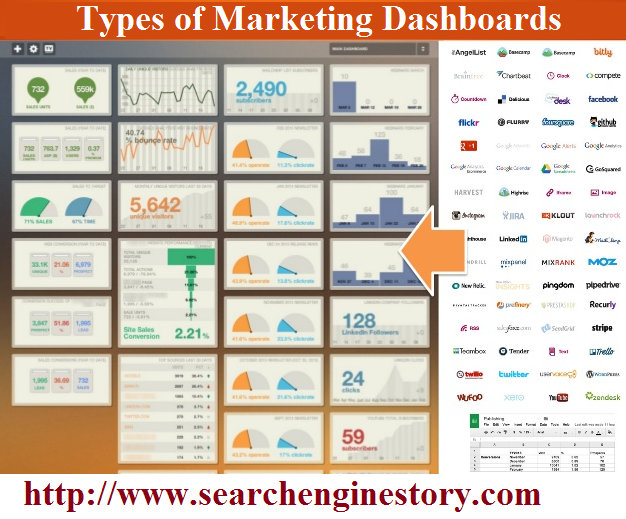 Marketing dashboard – What is it? It is basically a reporting tool that will display metrics, key performance indicators, and marketing analytics with the help of visuals. In other words, it is data representation using visuals. They enable the team members to monitor the progress within a company. Since it offers visibility, newer or better marketing strategies can be worked out in accordance to meet the business goals and objectives. With the help of this dashboard, you will be able to get an in-depth view of the rate of conversion of your prospective clients. Not only that this will also aid in taking vital decisions pertaining to marketing campaigns and amount to be invested in the same. When it comes to web analytics data, SEO dashboard is your best bet. It is one place or rather platform where all digital marketers can view the progress of the SEO marketing efforts by analyzing few performance metrics used in this regard. You cannot afford to suffer frequent downtime as it can spell disaster for your website and online business. This dashboard allows you to track in real time the performance of your website. Most importantly, it is also an indicator that tells you whether or not the marketing initiatives that you are taking are right and yielding fruitful results. Marketing metrics can be kept track of with the help of online marketing dashboard. It also enables them to better their marketing efforts and initiatives. Aside from the above, you will come across several other examples that include E-commerce marketing dashboard, CMO marketing dashboard, Email marketing dashboard, Adwords Campaign dashboard, Web and Social Analytics dashboard, and Social media dashboard to name just a few. 1. These dashboards will allow marketers to keep their marketing metrics stable as they are able to constantly monitor the progress of the marketing initiatives through various KPIs and metrics. 2. Since there is visibility of the progress of marketing efforts in real time, it allows you to edit or rectify any lacunae that are detected during the course of the campaign. This is of immense help as you can stop a process midway if it is found to be troublesome or cause hassles in the smooth functioning of the process. 3. It helps the individual team members to get an insight into the progress, regardless of the department the professional or the individual belongs. Not all marketing dashboards have the same features and depending on your business requirement and what you expect from it, you have the option to select one. It is one of the most sought after marketing reporting tool across various industries that have stood the tests of time and almost all corporate stalwarts make use of this tool for improving their marketing campaigns and getting the ultimate results from their business and in achieving business vision and mission.